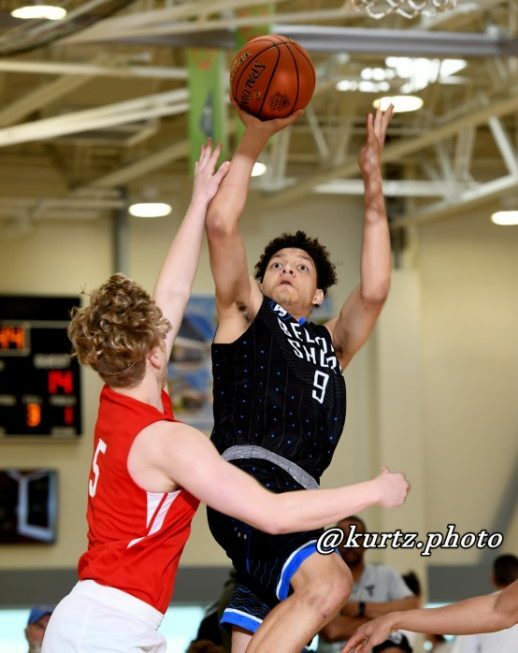 The 2nd annual Pangos Best of West Shootout was recently (March 30-31, 2019) at the beautiful 8 court Ladera Sports Center (Ladera Ranch CA). 100+ teams from California, Nevada and Arizona participated. A sizeable contingent of national/regional media/scouts and video outlets attended including Frank Burlison (BurlisonOnBasketball.com/McDonald’s All-American Game & NBPA Top 100 Camp selection committees), Ronnie Flores (BallisLife.com & Grassroothoops.net), Dinos Trigonis (Fullcourt Press, Pangos & Nothing But Net Magazine), Devin Ugland (Hoops by Ugland & PrepHoopsSoCal), Matt Rodriguez & Arek Kossyan (Ball is Life), Peter Walsh & Steven Barron (Bleacher Report), Arthur Puu (Overtime), Gregg Rosenberg (PrepHoopsAZ), Patrick Stanwood (Nothing But Net Magazine), Bryan LaRussa & Xavier Mejia (SLAM Magazine), Matthew Kovach, Jason O’Neill & Aubrey Gray (HoopsFactoryTV), David Chisholm (Dreamers), Richard Whiteside & Omar James (Hustle2k), Marcel Chappell (BallerVisions), Tanee Tanespolnsuk (Qwik11hoops), Clutch Clip Hoops and Lew Roberts (Big City Hoops). Dre is a strong and burly PF that is active in the paint and plays with high energy. Harris finishes well through contact and is a regular visitor on the glass. Undersized but very effective. Quick and athletic slashing scorer competes on every play. Milwaukee WI native is a swarming defender that was a 2018 USA Junior National Fall Mini-Camp invitee. Active and athletic forward makes plays on both ends. Excellent defender and underrated passer. Coulibaly is a long and athletic rim-protector with nice agility. Very good long-term potential. 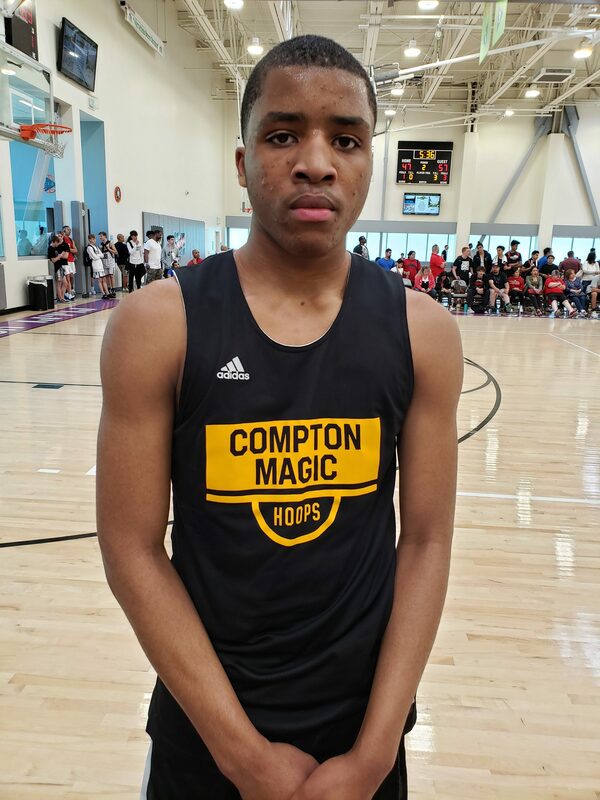 2019 MVP of the Trinity League, James is one of SoCal’s top unsigned seniors. Crafty combo-guard scores well from the perimeter and is a solid defender. 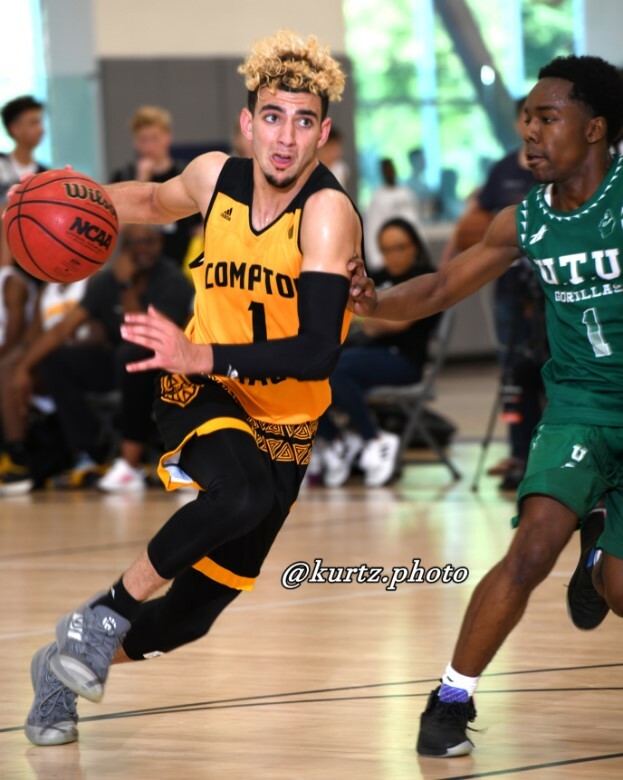 Yassine Gharram 6’2” 2020 Foothills Christian (El Cajon CA): One of California’s top pure point guards, Yassine knows how to run a team, make plays for teammates and knock down opportunity jump shots. Obinna Anyanwu 6’7” 2021 Cathedral (San Diego CA): Strong and skilled forward is garnering high-major interest and offers from the likes of Texas and Oklahoma. Ignacio Camacho 6’8” 2020 Ribet Academy (Los Angeles CA): Sleeper junior PF is a tremendous competitor and can score in traffic. Good student is a Guatemalan import. Ultra-active and assertive swingman with strength makes plays at both ends. Active forward is a regular visitor on the glass. Versatile big wing that can play inside out and guard multiple positions. Power combo-guard is a defensive hawk and has the athleticism and strength to get into the paint to score at the rim or drive and kick. 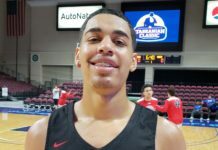 Skilled hybrid-forward with scoring ability is drawing diverse interest coast to coast including Rutgers. Esparza was impressive for Team Veritas here as his diverse scoring skills were clearly on display. 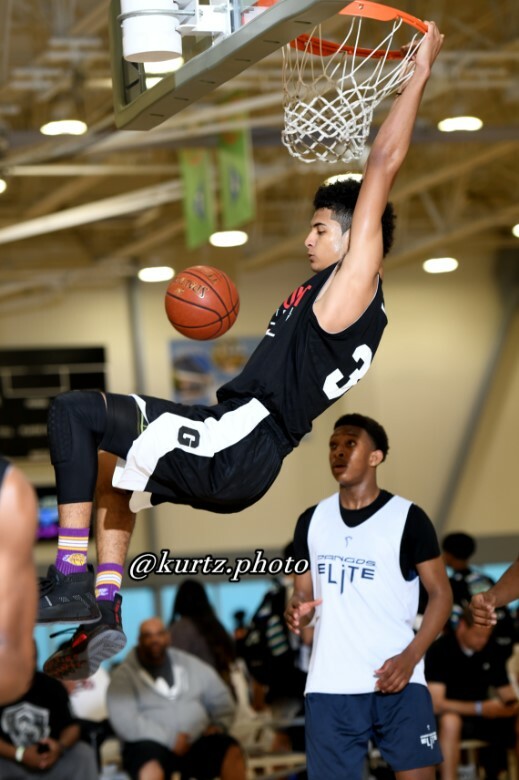 Had 22 points in a win over Compton Magic Premier. Daniel broke a 19 year-old Sonora school single game record this past season by scoring 45 points versus Troy. 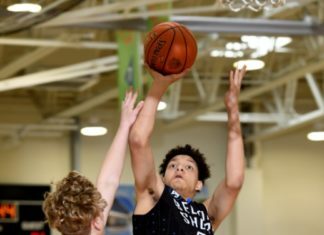 Sharp-shooting young WF with length is also a terrific student. Nice potential to be an excellent floor-spacer for right HM program. Strong wing guard can get buckets. Dad Rock Lloyd is a NYC native that played at Syracuse and Long Beach State. Athletic swingman has recent Eastern Michigan offer. Talented young combo-guard can score in a variety of ways and plays with great poise. High-major potential. Sleek and athletic wing excels in finishing in transition. At one time, a San Jose State commit. Smooth shooting guard with range on jump shot. Athletic wing with bounce and a nice looking jump shot. One to track. Daylen Williams 6’8” 2019 Fairfax (Los Angeles CA) Very improved forward had an impressive senior season for LA-City CIF champs Fairfax. 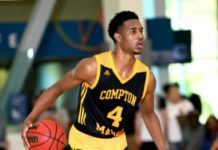 Son of LA hoops legend John Williams (Crenshaw HS/LSU/NBA) is a very good student. Columbian import is a very strong and physical PF that is a rugged rebounder and can score despite contact. High-scoring point with impressive change of speed ability. Ferocious rebounder and formidable rim-protector. Very good 3-point shooter is the son of NBA front-office guy Gary Sacks (formerly with the LA Clippers and now with Charlotte Bobcats). Athletic PG that can get to the rim. Lockdown defender. Cerebral floor leader has legit 3-point range. Very good student too. Young big is oozing with potential. Strong lead guard can finish in the paint and is a solid passer. Sturdy PF is a force on the glass. Quick jitter bug point guard is hard to contain off the dribble, has underrated jump shot and is a very good on-ball defender. Very good student too. Aggressive PF has nice perimeter shooting range. WF with deep perimeter range. Very good student too. High-scoring young combo-guard plays with plenty of moxey. Dennis Evans 6’10” 2023 San Bernardino CA Young post man with length is an intriguing prospect. Played for Kool-Aid Perry and Inland here. 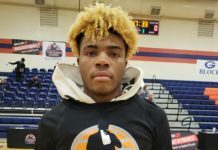 Crafty point guard with confident 3-point stroke is the son of former Angels OF Garret Anderson. Very quick PG has nice ability to penetrate and set table for teammates. Long and athletic point guard with high basketball IQ and the size to guard all 3 perimeter spots. Stretch PF has legitimate 3-point range. Good student too. Paul Hayden 6’5” 2020 Sunnyslope (Phoenix AZ) Big wing handles rock well and is a solid defender. Strong PF has a nice skill set.